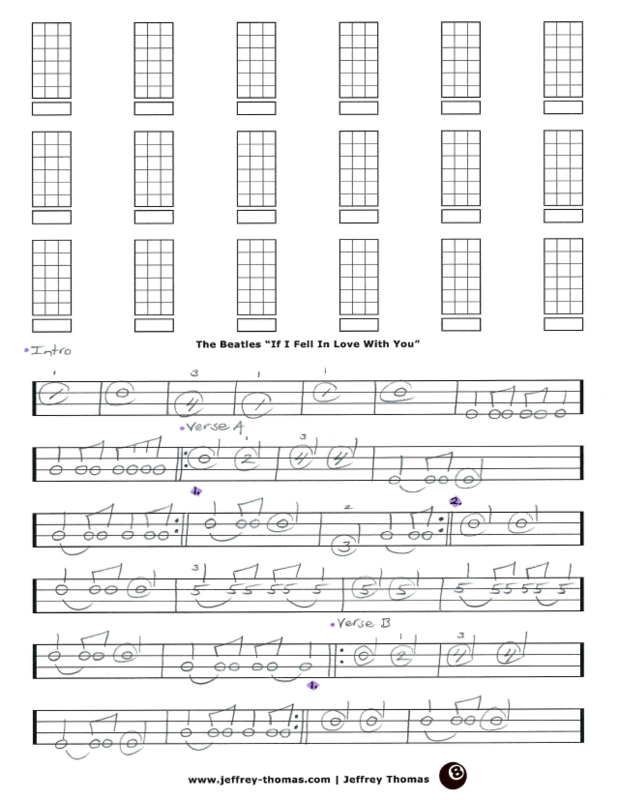 The Beatles If I Fell In Love With You Free Bass Tab by Jeffrey Thomas. Play this classic Beatles ballad on bass with my free bass tab. Learn the song’s structure and signature bass licks as they are on the recording. This is a great tune that is very popular with my bass students. Want the full bass tab for free? Send in your email using the form provided and I’ll send it to you. Need help learning to play the song? Fill out the Schedule A Free Lesson form to set up a free Skype bass lesson with Jeff. This is John Lennon’s “First attempt at a ballad” and not a bad one at all! Make sure to check out my online bass tab archive for more free bass tabs.